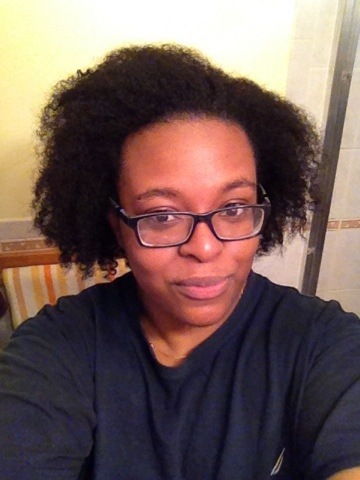 Lately quite a few people have come up to me asking about what I did during my transition to natural hair and if I have any tips for those who are considering doing the same. I’m not here to convince anyone on what they should/shouldn’t be doing to their hair because everyone has their personal preferences. But If you have already made up in your mind to go natural but not necessarily interested in chopping your hair off all together, this post is for you. Now that my transition stage is over I thought it would be helpful to mention some tips that helped me through this process. I would say the basis of it all is to know what works for your hair, stay away from heat as much as possible, avoid protective styles that cause tension and stress on the hair and scalp, use silk pillowcases and/or bonnet, STAY CONSISTENT and PATIENCE IS KEY. Although that may sound pretty simple it’s important to remember that while transitioning you’re dealing with 2 different textures. Both of them need to handled properly to achieve growth and little breakage along the way. The key to this is balancing moisture and protein in your hair regime. This will even carry on throughout your natural hair journey. Aside from our hair it’s also important to keep our bodies hydrated and water is answer. The good thing about being natural is that you don’t have to be afraid of water or getting your hair wet. 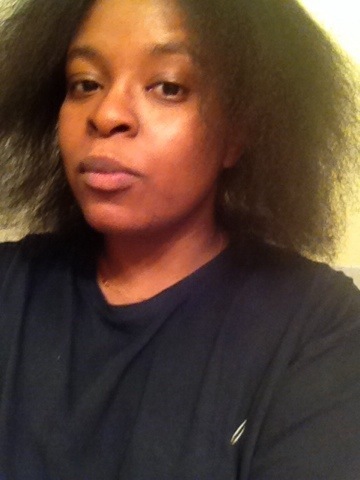 I always like to end my shampoo and conditioning with a deep condition session. After the deep conditioner is rinsed out apply a leave in. Throughout the week it’s always good to re-moisturize your hair and seal it in with a butter or a light oil like extra virgin olive oil or jojoba oil. Remember oils do not moisturize the hair water does. If your moisturizer doesn’t have water as the first ingredient…chances are it’s not doing it’s job. I try to wash my hair once a week. It’s the perfect opportunity to detangle my hair with a wide tooth comb working from ends to root gently. This tool will be your best friend. This is what makes up your hairs structure and strength, protecting from any damage from styling, detangling etc. Our hair itself is made up of mostly keratin which is a form of protein. Too much of anything can be a travesty, so remember to find the balance between protein and moisture. If your hair is feeling dry and brittle I would say you could use more moisture in your regime. If your hair seems to be limp or lacking elasticity I would try a protein treatment. I try to do these every other week (twice a month). Super, Super, SUPER important. Everyone wants healthy growing hair, to do so there must be a clean environment for that to take place. Dirty clogged follicles from product build up can slow down growth. As I said before I wash my hair once a week but I know others who wash their hair once or twice a month. This is one of those situations where your own personal preferences step in. It is good to dilute your shampoo with water because some of them have a tendency to be very drying. 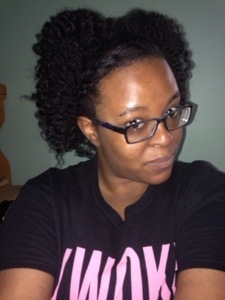 “PrePooing” has helped me combat shampoos from stripping my hair from it’s natural oils. Coat your hair will coconut or olive oil (this is the simplest form of a prepoo there are many recipes), let it sit and marinate for an hour, wash as normal. Also wash your hair in SECTIONS. 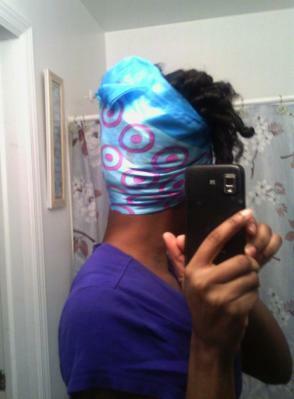 This prevents hair form getting matted and tangled up. Take my word for it. Another tip is to only apply shampoo to the roots of your hair. There’s no need to put shampoo on the entire hair shaft, because once it’s rinse out the shampoo will cleanse the remainder of your hair. 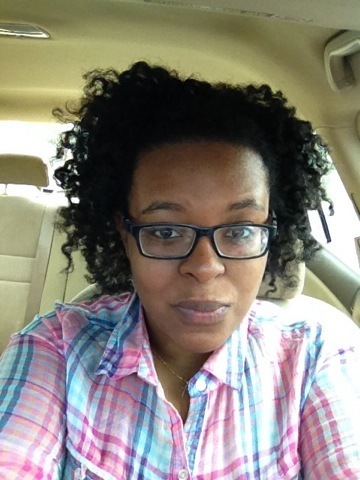 I chose to trim my hair gradually while transitioning. After a while you will begin to differentiate healthy ends from dead/dry ends just by feeling or looking at them. It’s up to you to decide on how often to trim them. Even now that I’m natural I’m still dealing with split ends and single strand knots, so keep those ends properly moisturized and tucked away in a style as much as you can. Also when trimming do not use regular scissors. Please. Use sharp scissors that are meant to be used on hair. I didn’t and I think that’s one of the main reasons why I’m battling with split ends now. Watch YouTube videos, check out boards on Pinterest for ideas for hairstyles. 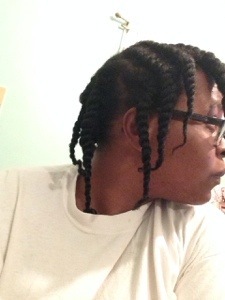 Many people who are transitioning choose to install protective styles such as braids, weaves, etc. Nothing is wrong with doing so but keep in mind that now is the time to really get to know your true hair texture, what it likes and what it doesn’t. This the trail and error phase. In other words take full advantage of the versatility or your hair, get familiar with it. With it constantly tucked away you will never get the chance to truly learn about your hair. 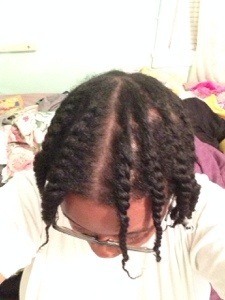 Also as mentioned before leaving protective styles in for an extended period of time can cause breakage. Do everything in moderation. Practice braid outs, twist outs, flat twist outs, roller sets, flexi rods, all of these help to blend your 2 textures, without having to have straggly straight ends exposed. 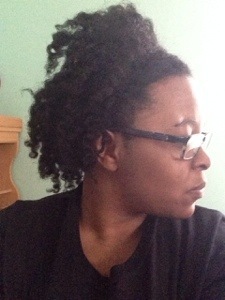 Link to my natural hair board on Pinterest. Click! Feel free to leave any questions, comments, concerns, or even your own advice in the comment section. 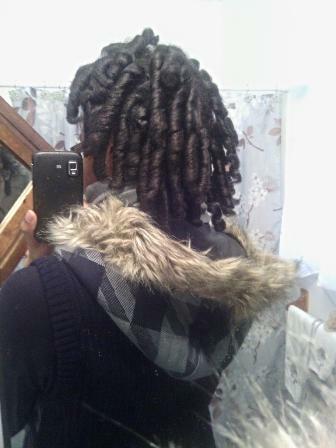 I’m here to provide you all with the pattern for my fabulous flat twist out, as featured last Saturday. I promised that I would, so here it is. Today feels like a product review kind of day and since my list of product reviews is piling up, I’ll begin with this one. Despite every other hair product on the market a deep conditioner is one I really don’t mind experimenting with. I love trying new ones. But I don’t see myself spending over $20.00. 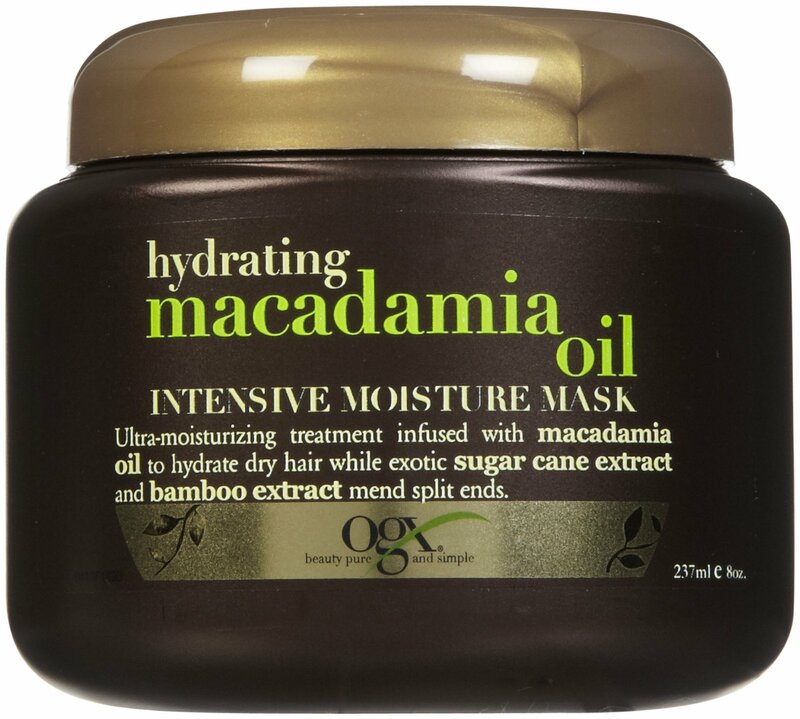 I bought this Hydrating Macadamia Oil Intensive Moisture Mask by Organix in my local CVS on a whim for fairly cheap. It was between 7 or 8 dollars. The line has several different products, You’re bound to find something that sparks your interest and caters your needs. I remember using their Tea Tree Mint shampoo and conditioner back when I was relaxed. It felt great and smelled phenomenal. I might go back to that eventually. Anyways the product says that it’s a “Ultra moisturizing treatment infused with macadamia oil to hydrate dry hair while exotic sugar can extract and bamboo extract mend split ends.” Sounds great doesn’t it? I thought so too. Plus I’m really struggling with split ends at the moment and they’re really annoying me. I hope this helps. The first time I tried this product I wasn’t that crazy about it. It smells awesome and my hair felt nice, but nothing too spectacular, still yet I wasn’t completely ready to rule it out. I gave this intense moisture mask another chance and sat with it in my hair under a plastic cap for probably an hour. 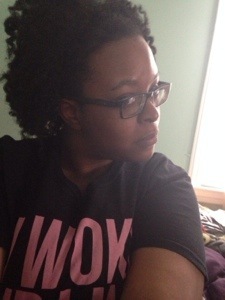 When I took the cap off my curls looked super hydrated, defined, and just looked so healthy overall. Even when I rinsed the mask out the results still remained. My hair was soft to the touch. I wouldn’t say that the consistency is thick. It basically feels like your normal conditioner another plus because I think that makes it easier to apply to your hair because of the slip it has. Another thing I love about this product is that it’s accessible. You can find it at your local WalMart, Target, CVS you name it for a reasonable price. The only thing I’m not super positive on is how effective it is in the split end mending department. I guess it’s too soon to tell. Hi guys! Happy Saturday! 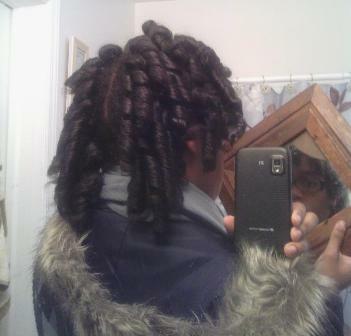 It is a beautiful day here in New York, an I wanted to show you guys my amazing flat twist out! This is such a big moment for me because I never like how my twist outs look, so I always end up wearing a twist out up, lol. But today’s look?! BOOM. I absolutely love! So full of body, stretched, and smells amazing! 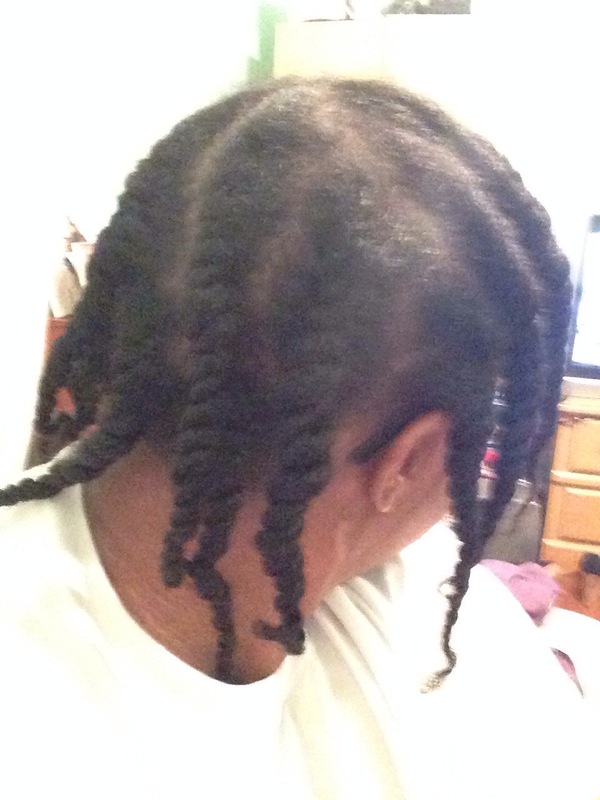 I haven’t had a flat twist come out like this ever, and the reason it came out this great was the technique that I used to achieve it. I didn’t take any pictures of the way I set my hair, but I’ll show you guys very soon. 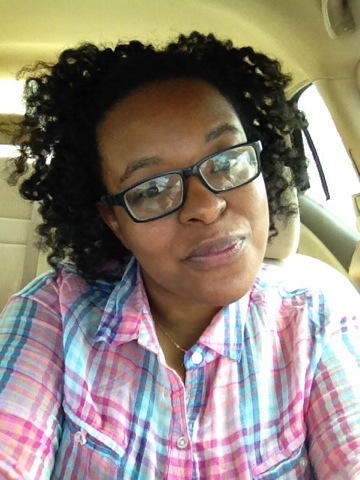 The pattern in which I set my hair deserves all the glory for this great flat twist out! It’s all about Curlformers today and I’m not going to pretend that I don’t love these things because I really do! Once you get the hang of installing them, it’s a quick alternative to achieve nice sleek curls that can last throughout the week with proper maintenance. It’s another great option to have if you want your hair stretched but don’t really want to use heat. You can’t go wrong with these. 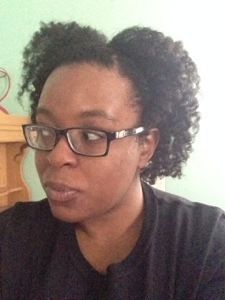 I personally purchased my curlformers from a seller on Ebay. I refused to spend almost $70.00 for some hair rollers. No way on earth. That’s beyond ridiculous. Only to find out that the knock offs I bought are just as good. They come in 4 different sizes long and wide, short and wide, long and narrow, & short and narrow. I have the long/wide ones. Let me warn you advance to please buy enough packs of these things. 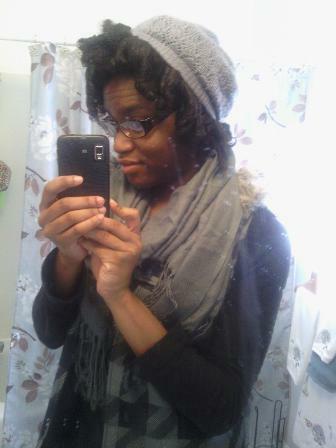 I have about 30 and I still have to get more to cover my whole head. 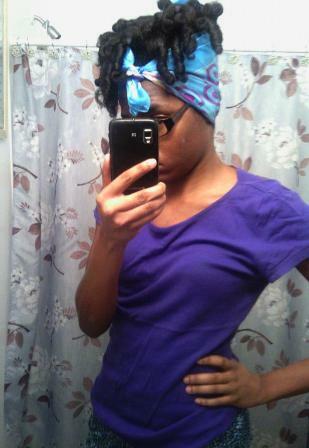 Lol I usually end up rolling the remaining hair with flexi rods. Also they may be frustrating in the beginning but keep trying. You’ll get it. There are TONS of tutorials on YouTube on how to install them. 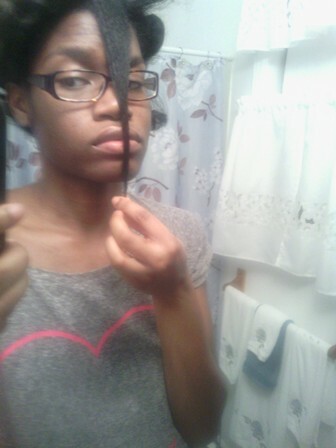 I’ve ripped my hair out a couple time because I was trying to force my hair through, so use SMALL SECTIONS. Don’t rush. Prior to putting these in my hair was freshly washed, deep conditioned, and detangled. I never used Curlformers on dry hair. I would assume that they would be more puffy or less sleek looking. 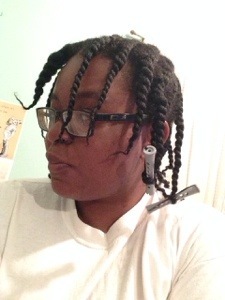 After detangling I apply my products of choice. Normally it’s a leave in conditioner, moisturizer, my argan oil creme of natural setting foam, and a very small dab of gel. These products help my hair last more than a day. I install the pink curlformers on one side and the orange on the other just so I can have the curls going in separate directions, but if you want to have curls going in different directions all over, just mix them up! Here’s what they look like when I take them down unseparated. Once I pick and get rid of that straight park down the middle. I like to wear it like this for a few days if possible. 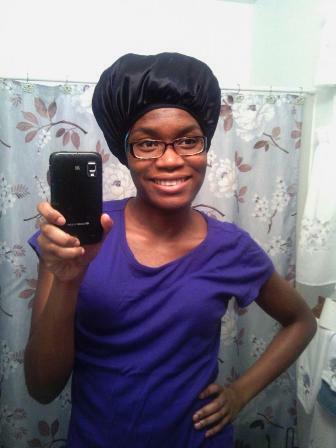 Step 4: Put your satin bonnet on top (Optional) It’s not the sexiest look but it gets the job done! 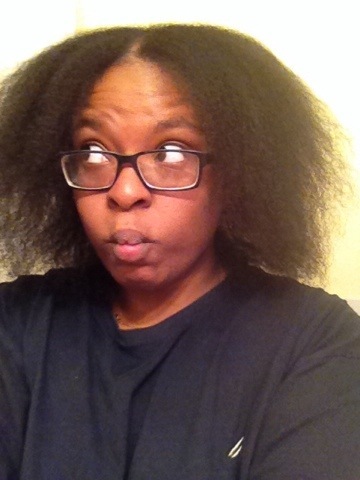 I’m back with a long overdue length check. 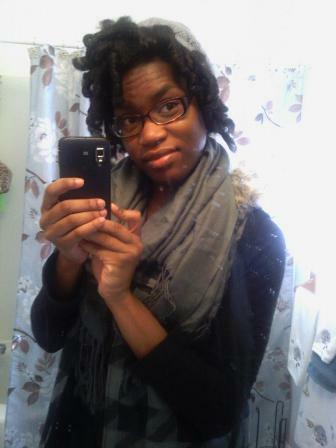 The last time I measured my hair was last July when I still had relaxed ends. 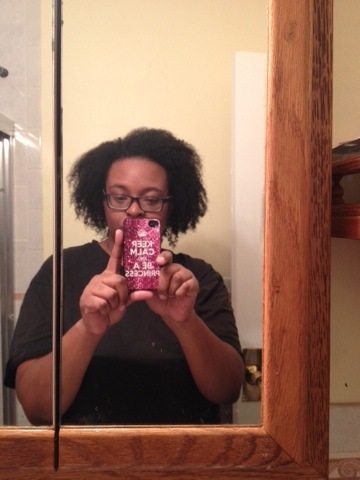 Now I’m truly natural and I want to measure the front, sides, and back of my hair. I recommend doing this every 4-5 months. The average person grows approximately 6 inches of hair a year, that equals to 1/2 an inch of growth per month. I also read that growth rate can be altered by seasons, hair can grow faster in the summer and slows down in the winter. Which isn’t that surprising. Aside from the harsh elements, everything around us slows in the winter, that’s just nature itself. It’s also important to consider your diet and water intake because it definitely has an effect. Try to eat as healthy as you can. What you put on the inside of your body will show itself outwardly. As you might know I’m taking Manetabolism hair growth pills. I will be posting about it once I finish my one month supply. 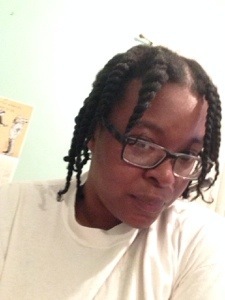 This length check was done before I started taking the pills. 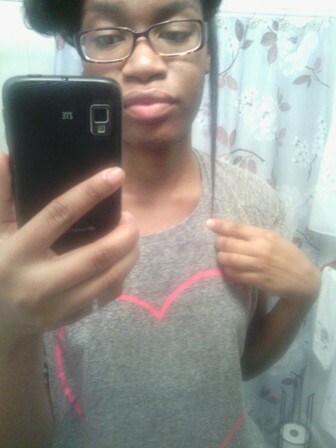 I also trimmed my ends several times since the last time my last measurements in July. I didn’t take pictures of the center or back but my hair is 11 inches in the middle and 10 inches in the back. 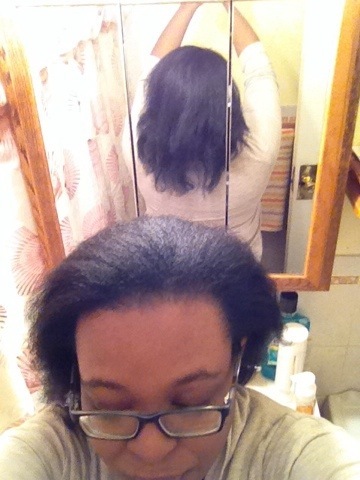 Here’s the link to my previous length check. Click Here! Hello everyone! I’m writing to you today about my flat iron experience. 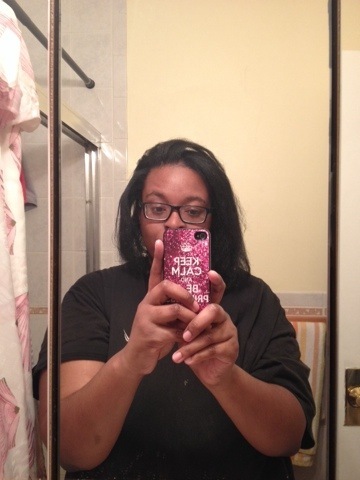 Prior to taking Hairfinity, I wanted to flat iron to see where I was at with my hair length. Of course, I could have just stretched it, but where’s the fun in that? So I started on freshly cleaned and conditioned hair. 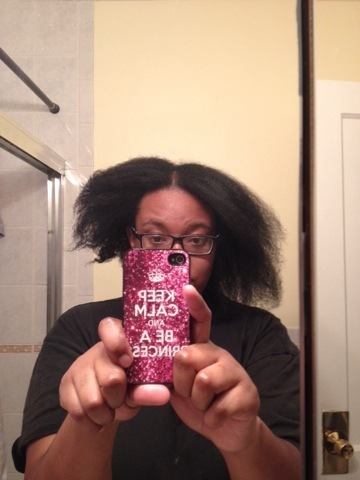 This is what my hair looked like at 80% dry. Let me tell y’all, shrinkage is the devil’s most useful weapon. 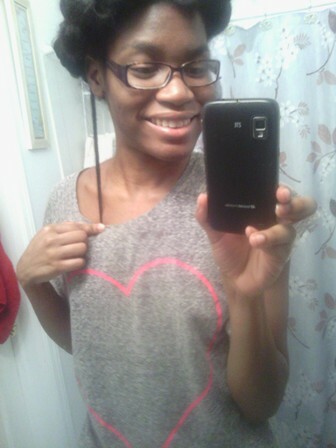 If I don’t stretch my hair right out of the shower, it will shrink all the way up to my neck! I then blew my hair out. I used a concentrator nozzle and I am sure that that helped me get it so straight and flat. 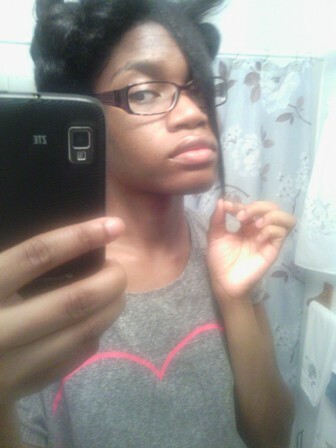 I tried to get it as straight as I could before the flat ironing process. 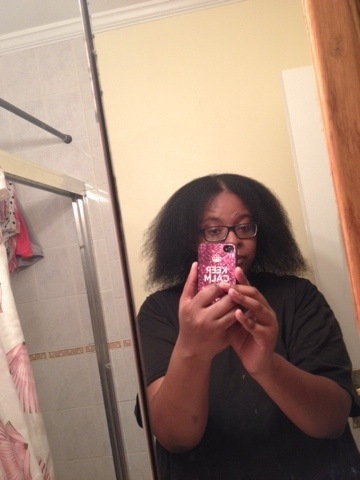 I then went through each of my four sections and began to flat iron, piece by piece. I went over each section twice. I WISH I would have done the chase method because my ends came out a little rough. I didn’t cut any ends because although they were rough, I didn’t see any split ends. Final results? I can’t wait to reap the results from Hairfinity!